President Vladimir Putin aims to create an Eurasian Union where the Soviet Union once reigned. But Moscow's intervention in Crimea could make former Soviet republics think twice about deeper integration with Russia. During his annual address to the Russian parliament back in 2005, President Putin publicly lamented the collapse of the Soviet Union, calling it "a major geopolitical disaster of the century." The former KGB man laid out his solution to this "disaster" in a 2011 newspaper editorial, in which he called for the creation of an Eurasian Union. "First, none of this entails any kind of revival of the Soviet Union," Putin wrote in the daily Izvestia. "It would be naïve to revive or emulate something that has been consigned to history. But these times call for a close integration based on new values and a new political and economic foundation." "We suggest a powerful supranational association capable of becoming one of the poles in the modern world and serving as an efficient bridge between Europe and the dynamic Asia-Pacific region," he continued. Neighboring Belarus and Kazakhstan have signed up to join Russia in this integration project. 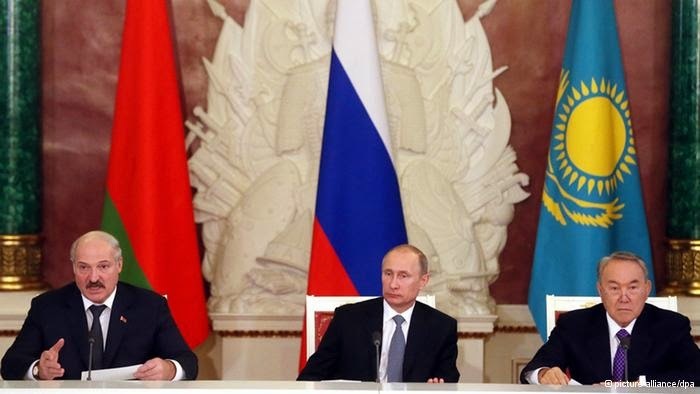 In 2010, the three ex-Soviet republics formed a common customs union. Meanwhile, they have agreed to make the Eurasian Economic Union a reality by January 1, 2015. Close, but not too close? "According to Putin, it has to be a political alliance, not only the customs union, with supranational institutions that will be hosted by Moscow and apparently dominated by Russia," Lilia Shevtsova, a Russia expert with CarnegieMoscow, told DW. While Shevtsova described the Eurasian Union as Putin's "pet project," she said that the concept of Eurasianism as an ideology developed in early 20th century Russia as an "antithesis to the West." "The major principle of Eurasianism is that Russia has to be the pole of a new civilization, which is situated on the huge Eurasian territory that includes a European part and an Asian part," Shevtsova said. "Russia is unique and Russia is not Europe." "The Eurasian concept is based on such values as the Orthodox Church and the strength of the state," she said. "The state is much more important than individuals." In terms of its structure, the Eurasian Union is modeled on the European Union's political integration project, but without the emphasis on democracy and human rights, according to Amanda Paul, an expert on the Eurasian region at the in Brussels. Community (EAEC or Eurasec) in 2000 to serve as the motor of integration in the former Soviet space. The organization's institutional structure is similar to the defunct European Economic Community, the forerunner of the European Union. Eurasec has an interstate council, a permanent committee, an inter-parliamentary assembly and a court. The interstate council consists of the Eurasec members' heads of state and makes decisions by consensus, while the permanent committee requires a two-thirds majority vote. Voting power in the committee is based on financial contributions. Russia wields 40 votes while Belarus and Kazakhstan each hold 20. Kyrgyzstan and Tajikistan possess 10 votes respectively. 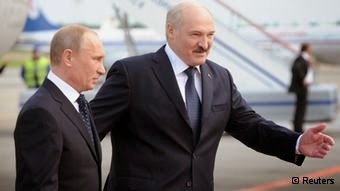 According to Shevtsova, Belarusian strongman Alexander Lukashenko opted to join because he "cannot go to Europe" due to his repressive policies, and "he cannot survive by himself" because of the country's economic problems. Meanwhile, Kazakh President Nursultan Nazarbayev hopes to use Russia to balance out China's economic influence in the Central Asian country, she said. 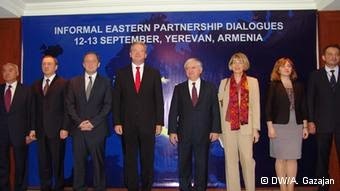 Last September, Armenia turned down an association agreement with the European Union, opting instead for the customs union with Belarus, Russia and Kazakhstan. The Armenian deputy foreign minister, Shavarsh Kocharian, has said that Yerevan will be ready to join the customs union by mid-April. "They basically didn't have any option but to ditch their agreement with the EU because of their reliance on Russia in many different sectors, obviously including energy security, economics and trade," Paul said. "In the shared neighborhood with the EU, none of the countries want to join," she continued. "Russia is having to force them in there with all the sticks and whips it's got." According to Shevtsova, Kyiv is the "crown jewel" in Russia's Eurasian ambitions. A country of 45 million people, Ukraine has fertile agricultural land, an industrial base and lies right on Central Europe's doorstep. "It was one of the key goals of Putin to get Ukraine into the orbit because a Eurasian Union…without Ukraine would have a very strong Asian face," she said. But Moscow's intervention in Crimea could jeopardize the entire integration project. Ukraine has been driven even further into the West's arms by the de-facto Russian annexation of the Black Sea peninsula. The EU could sign the political chapters of an association agreement with Kyiv as early as March 20th. Meanwhile, Belarus and Kazakhstan have failed to express strong public support for Moscow's position in Ukraine. Putin's doctrine of reserving the right to use military force to protect ethnic Russians might have Minsk and Astana worried. Nearly a quarter of Kazakhstan's population and eight percent of Belarus claim Russian ethnicity. "If the Russians are allowed to get away with what they're doing in Crimea it sets a precedent to repeat this sort of behavior elsewhere," Paul said. "Russia is creating a sort of pop-up war syndrome. It doesn't like something so it creates a military confrontation."